I thought I would take a minute to talk about sprinkles. Now is a great time to stock up on seasonal ones. It will be another year before some of the sprinkles out in stores right now are easily available again. 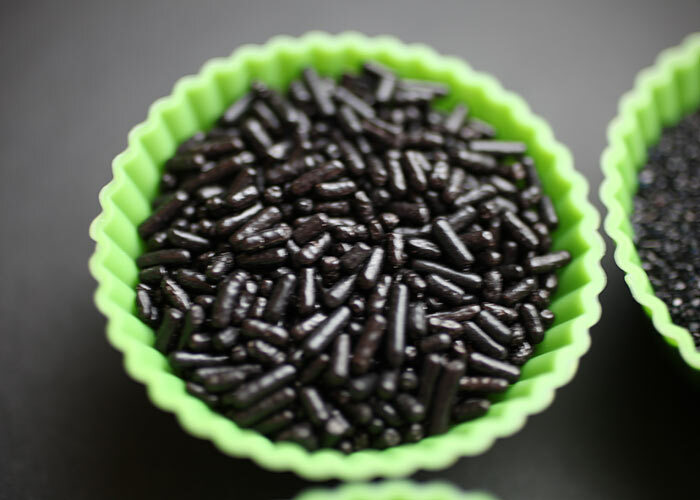 And black sprinkles come in super handy when making cake pops. Noses and eyes especially. So when I see something new, I pick up a jar … or three. The ones I want to show you are just to get you thinking and remind you to keep your eyes open when shopping now and even right after Halloween. Let’s start with the basics. These sprinkle shapes are easy to find in solid colors. But getting your hands on black ones aren’t always as convenient. I found all of these at Cake Art, my go-to cake supply shop. 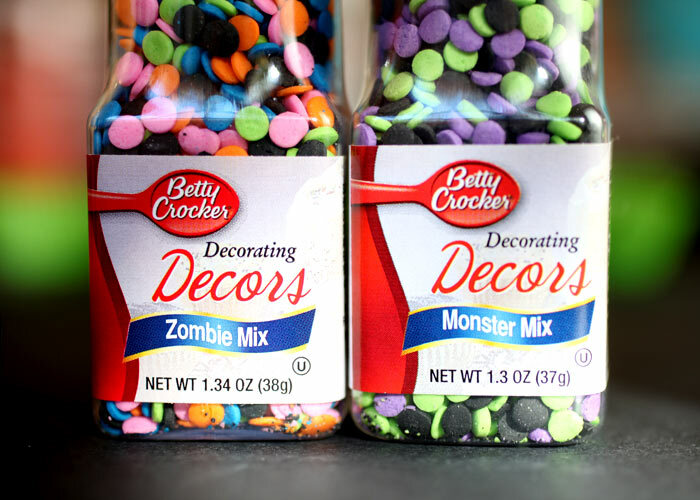 All of these are good to have on hand… especially if you’re making cake pops. The jimmies were what inspired the spider cake pops I made last week. So, those are some of the standards. Now let’s take a look at some specialty ones. Sprinkles with a bit more personality. These spoke to me as possibilities if I need black feet – similar to how I used orange flowers for feet on my Spring Chicks. And since black flowers would be really hard to come by, these would work just fine for feet. 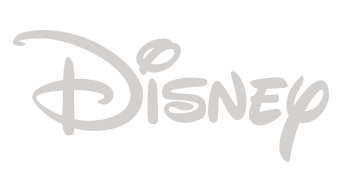 If you turn the ghosts sideways, they could be bushy eyebrows. Maybe even for a Santa pop? Hmmm. 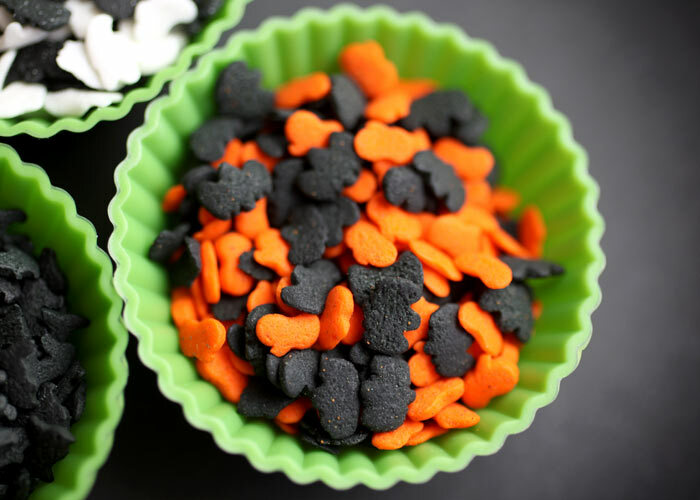 Orange pumpkins and little black bats that could double as bow ties for the Groom Cake Pops in my book, especially since the black heart sprinkles in the poker mix are proving a bit difficult to find lately. I have no idea yet what I’ll use these for, but I picked them up without hesitation. Too unique not to have around. Meow. I love this mix. 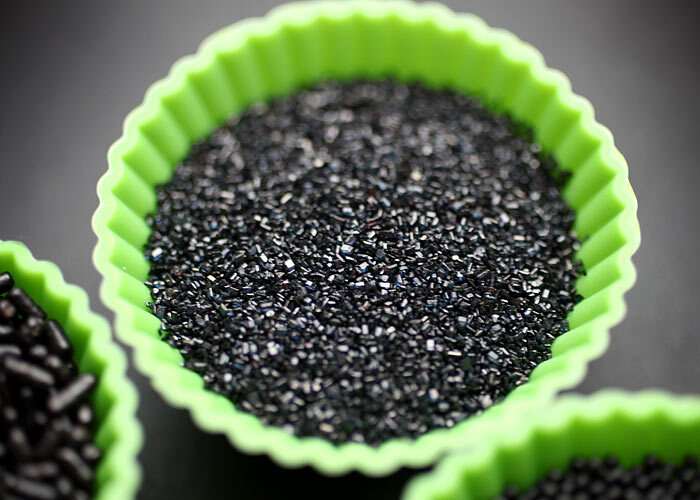 Having black confetti sprinkles has been a life saver a few times. Keeps me from having to draw on eyes if I don’t have an edible ink pen around. This mix used to come in a container all by itself. But now I can only find it in this carousel. But then I stumbled on these this year at Wal-Mart. Yay! Zombie Mix. Monster Mix. Both with black. Thanks Betty! Problem solved, so I bought a couple jars of each to stock up. I love confetti sprinkles. They come mostly in three sizes. Check out these Jumbo Halloween Quins. I love them and used the orange ones for a project in the Cake Pops Kit coming out next month. Notice the regular size confetti sprinkles on top for size reference. Here’s some sprinkles in super cute specialty packaging. I bought these last year just so I could have the little bones. So cute. And obviously they’ve been too cute for me to open. I think I also saw these at Wal-Mart this year. But don’t just focus on sprinkles. 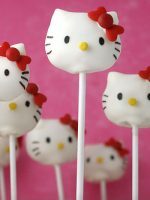 Candy makes great cake pop add-ons too. These bat wings and bloody bones are super cute. I came across them in a candy store in the Mall of America earlier this month. Don’t forget about old favorites, too. 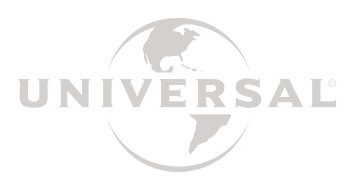 M&M’s can be bought in solid colors online and in some stores by weight. I found this container of M&M’s at Wal-mart though. But, I’ve had them for a bit, so I’m not sure if they still sell them separately like this. Let me know if you’ve seen them lately. M&M’s also sells their regular size bag of candies in seasonal colors. But they seem to change them up from year to year. They used to sell a package of black, green, orange and purple for Halloween. But this year, no where to be found. Frustrating. 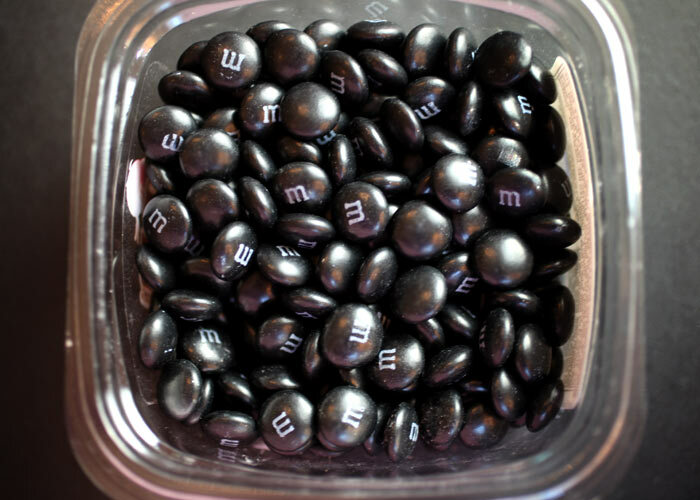 And by the way, M&M’s … (not Halloween related) … would you please make your Cherry Cordial M&M’s available all year long. Those things are crazy good. 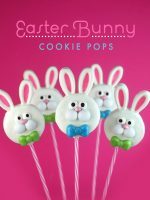 Another cake pop candy favorite that changes with the seasons. Coated sunflower seeds. The black ones make great noses. Wings for penguins. Heads for spiders. I could go on. 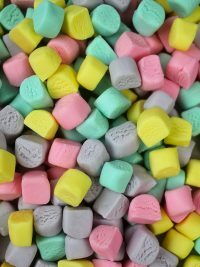 Once you start paying attention to candies and such, you’ll start seeing these everywhere. TJ Maxx and Marshalls even. But I found these by the cash register at Cost Plus World Market. So that’s a little overview. I basically just wanted to remind you to stock up when you come across something you like. And don’t forget to check the clearance section after Halloween. Those are just a few to get you started. Feel free to add to the list. And if you know of some candy I need to look for this season, I’d love to know that too. Previous PostA few more signings… Yay! awesome! I need to start my collection! It always amazes me how outside-the-box creative you are. Hope you are feeling well these days! Happy Halloween! 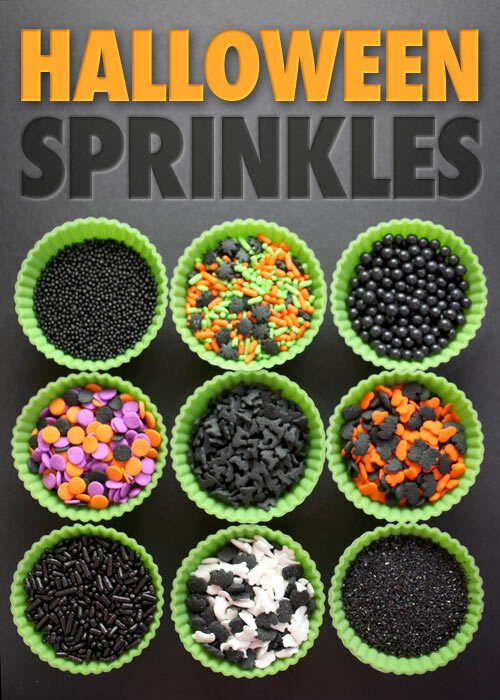 This is an amazing array of sprinkles and if this does not get the creative juices flowing I don’t know what will. Thanks for sharing. Will tweet this page – Awesome! I work in a grocery store and love the new seasonal sprinkles! bakerella r u going to post SF pictures? love sprinkles!!! have tons of little jars taking over my kitchen! 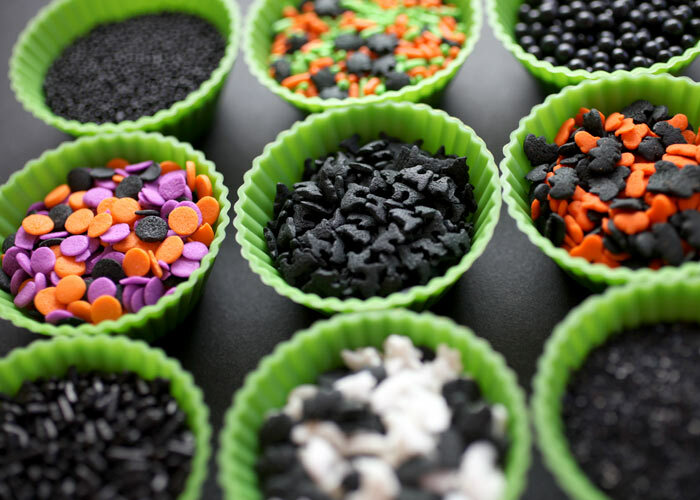 I have to admit~I have a collection of candy sprinkles, jimmies, quins, sprinkles of my own. In fact they have their own drawer of residence in my kitchen pantry…waiting to be made into something. I buy them in a frenzy and then they just sit…waiting. It’s a little sad. But someday they will amount to something. I promise! they still sell the m&ms in separate colors as far as I know, I see them at walmart a lot but theyre expensive. Wow! Someone else that calls them jimmies! In Arizona people look at me like I am bonkers. what about sixlets? cute tasty and perfect for red noses! 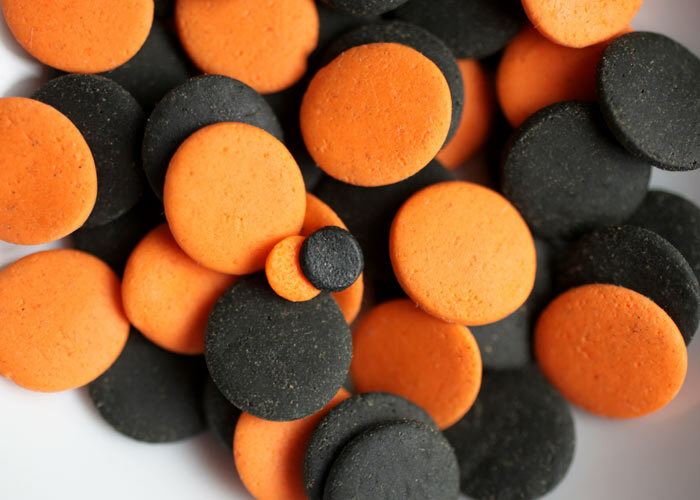 wondering if some black liquorice would make cute tires after snipping off some bits? Angie, I don’t know how long they’ll last, though. How long does dried fondant last? 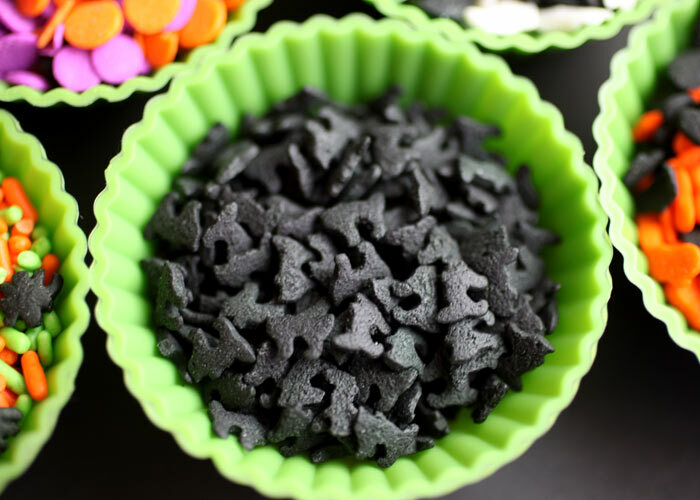 BTW, the way I found the make-your-own confetti sprinkles link is that I couldn’t find the Halloween confetti sprinkles that I wanted and I wondered if you could make them. I WANTED the colors that come in the Wilton carousel, but I DIDN’T want to pay that much for so few sprinkles. I couldn’t find a place online that I could order the single colors that I could mix myself. Great post! I can’t wait to see how you will end up using the black cats. I flipped the picture around a few times to see what I could come up with; the ideas I got so far were black teeth, maybe some sort of eyes and maybe filing them into the shape of bones?! 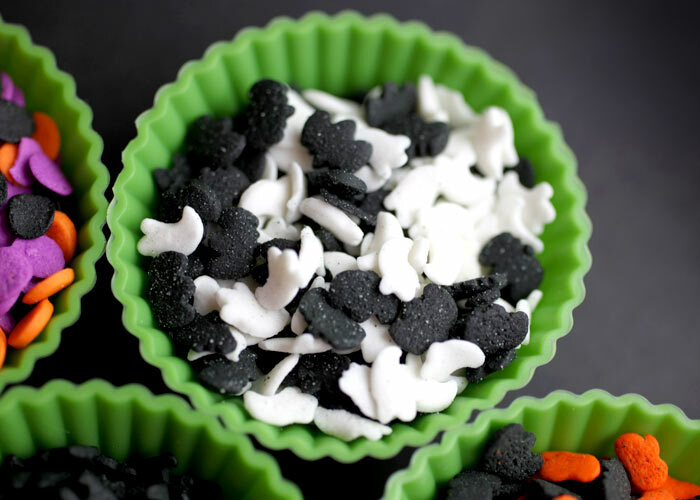 I know I am going to be in bed thinking about these kitty sprinkles! Yup, can’t wait to see what you do with them. 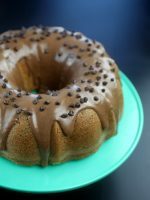 I used those orange pumpkin sprinkles as wattles on my turkey cake pops! I’m sure you don’t remember, but they’re the ones I made when I had second-degree burns on both hands…http://i6.photobucket.com/albums/y236/Panya/food/Picture3075c.jpg, http://i6.photobucket.com/albums/y236/Panya/food/Picture3078c.jpg…The ones that were still in my gramma’s kitchen when her house burned down a week later…*sigh* At least they were cute [and appreciated]! These decorations are super fun! Looove it! Ditto on the Cherry M&M’s. Everytime we are in a large city, we check the M&M stores to see if they have any–they are so delicious! Then after you get your stash built make sure you hit the after holiday sales as the prices will be irresistable!! Great post! Such a good reminder to be creative and think outside of the box. I’m now going to go Rorschach all the sprinkles in my pantry! Your creativity knows no bounds… I would have never looked at any of the above in the same way you planned to use them! 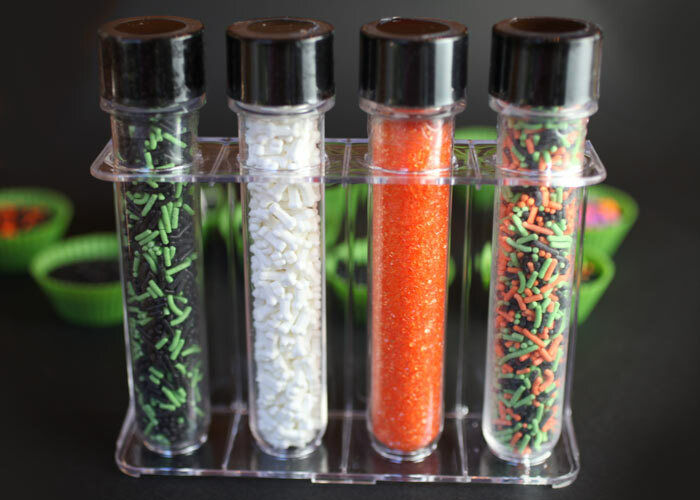 I also bought that sprinkle chemistry set for the bones, and am dying to see how you use them. Now that I have them on hand, I’m kind of stumped. & don’t forget to stock up on the seasonal colored candy melts! I just picked up two bags of sunflower seeds at Marshall’s. No plans for them but I thought of your blog and I had to grab some just in case! how long are sprinkles and quins good for?? Just fyi, your first link to Cake Art is bad, but the second one (in the list) is good. If you are in the Boston area, Au Chocolat is a shop I go to all the time and they have (at least as of last week) the M&M ColorWorks, so you can buy just the colors you want. I don’t know if the other candy shops (Hidden Sweets in Harvard Square) and Sugar Heaven (Boylston Street) have them, but it is worth checking out. It is great to be able to buy the quarter pound you need rather than a ton just for a small number of pieces. 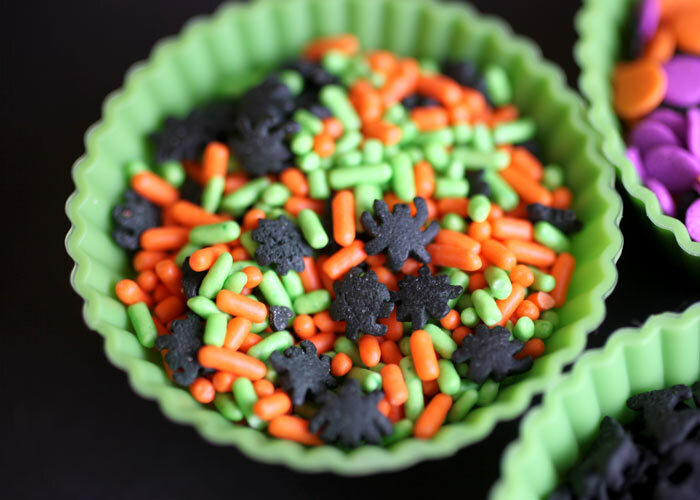 This time of year they have the most fun sprinkles for cakes and cookies. In fact I just made some cake balls last night that I plan to finish today with Halloween sprinkles. I hope you’ll stop by to take a look at my blog tomorrow to check them out. I’d forgotten about coated sunflower seeds – these will make a nice addition to my list. 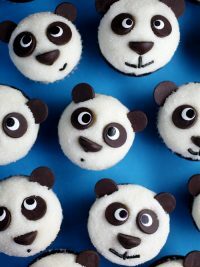 Cute post! 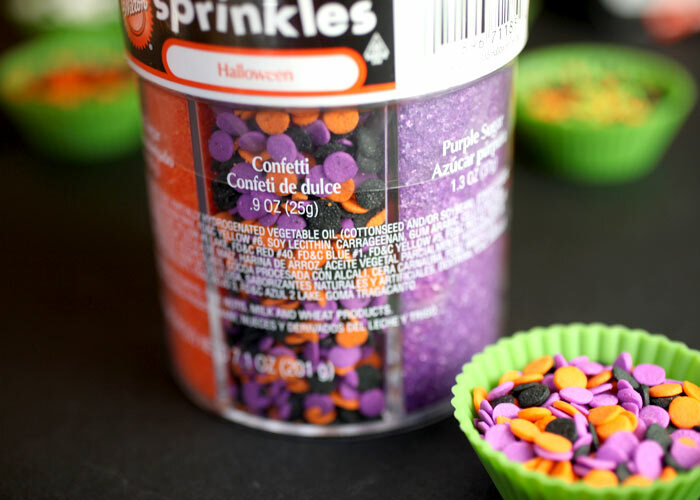 Great ideas for those sprinkles! I hate zombies, but that zombie mix looks pretty fun! 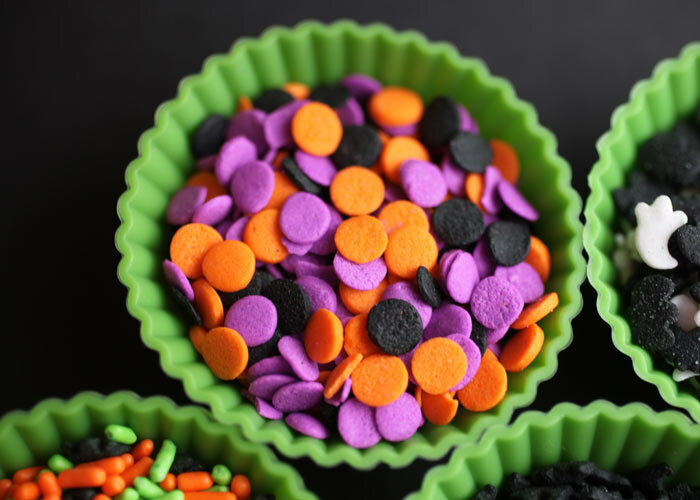 I’m a very visual person so even though I can appreciate these are all great ideas for sprinkles and candy, I can’t visualize them as a finished product outside of their original shape. 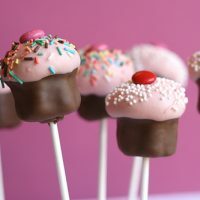 It would have been great to see a picture of each sprinkle and candy on a cake pop. 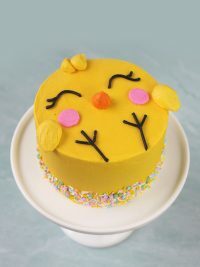 I love all the great ideas for use of Sprinkles! Gets the imagination going!! I love sprinkles. Especially ones for Christmas !!! I am so glad you posted this. I have been grabbing all that I can off the shelves just to stock up. What a beautiful assortment you have and GREAT pictures!!! You are so talented!!! After reading your post and seeing that you found it difficult to find black hearts for bow ties, on the Wilton website there is a chocolate hearts mix available for valentines day. The hearts are very dark and could pass for black. I love the new seasonal sprinkles! 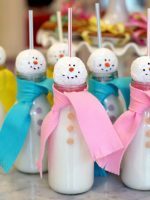 I love all the great ideas for use of Sprinkles! Gets the imagination going! Thanks for the reminder. I love the ghosts for Santa’s eyebrows. Thanks again! Good advice and lesson learned from other seasonal candies…I have gone back this year and can’t find what I got last. I still have Valentine candies from last year but no worries, I’ll use them all! Thanks Angie! I do have a question tho… about long do sprinkles last? i’m a stickler for using things before they expire. do sprinkles have an expiration date? thanks! Nice! You must feel about sprinkles the way I feel about ribbon. I just can’t pass by a beautiful ribbon…I have a room full of it! CUSTOM MAKE COLORED SANDING SUGAR!!!! 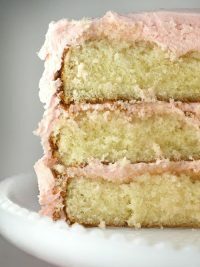 Hi Bakerella, I love everything about your website it’s absolutely fantabulous….for future reference if at anytime you need a color of sanding sugar you can make your own in any color. All you need is sugar, the food coloring of your choice, a zip bag, and some parchment or wax paper. I buy the vegan cane sugar from whole foods, because its size is large not like table sugar….although table sugar works as well. Put sugar in zip bag a few drops of food color massage sugar until uniform in color, add food color until desired color is made. Once sugar is the color you like, place on parchment or wax paper and let dry for a few hours. Once dry break up sugar and store in container or zip bags! Walla you have your own color of sanding sugar!!! I need to start a budget for sprinkle “hoarding”. Great ideas, thanks Angie! I am a sucker for sprinkles and cupcake papers. My little “Spice” cupboard should be called my sprinkle cupboard. Love all the fun ones they have during the holidays. When you are in Canada you have to go to Bulk Barn. They not only have bulk food but they have bins of colored sugar and sprinkles so you can buy however much you want. They also stock seasonal sprinkles when that occasion comes up. They even have red maple leafs near Canada Day. I thought I share with you one of my favorite cake and candy stores. I grew up going to this place and they have so many wonderful things that you could use for making Cake pops. 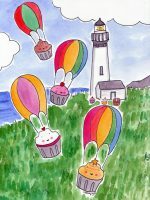 The store is call Janes cakes and Chocolate it located in Montrose California for those of you that would like to go the the store. 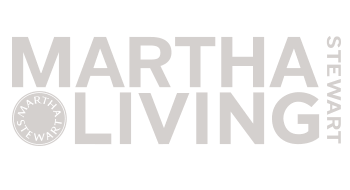 But for those of us that live to far they sell stuff online. I always forget to do this. Must remember this time, love the bloody bones.  Michael’s and Hobby Lobby have weekly printable coupons for 40% off one item.  (Some other stores that are listed above probably do too.) I find them really useful when I need baking decorations. 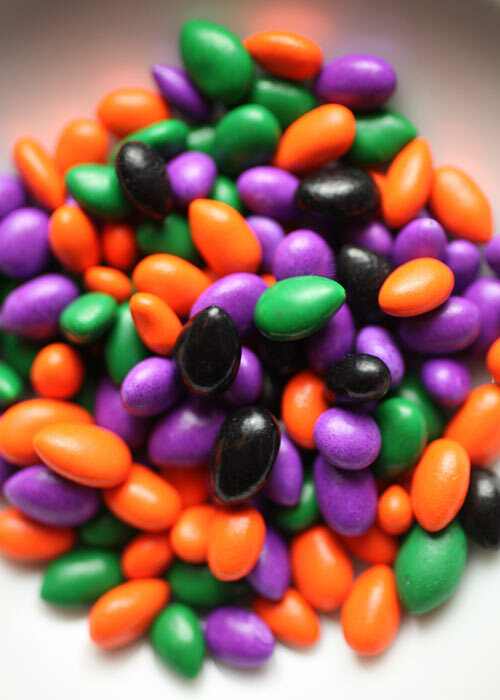 Party supply shops such as Party City sell bags of Sixlets & M&Ms in individual colors. I’ve been getting my sprinkles stockpile from Target’s $1 bins, Walmart and (like Ellen) using Michael’s coupons. I’ve amassed quite a few, but haven’t had the time to use most of them! Hi Bakerella! I had an idea for those candy-coated sunflower seeds… you could use the non-black ones pointy-side up for Xmas lights strung around a cake-pop! Oh no Bakerella!! You give me another reason to shop and buy more sprinkles :) I love them too! HI! I have been following your webbie for quite same time but no one seems to ask if the edible pens have expiry date. I found wilton edible pen in a baking supply store but without expiry dates so I didn’t get it. Perhaps would you know how long these edible pens can last? :) Thank you! I’ve found that Winners always has good selection – before the holidays. Whether that’s because they’re a discount clearing house and they get what they get whenever they get it or people snap them up, I’m not sure. They had tons of Halloween sprinkles in September, and none now. oh my, I’m swooning at the sight of these. I’m lucky if I can even find regular sprinkles but holiday ones will never been seen down here in NZ. I’ve already told my friends that when I finally make it to the States I’ll be posting home a box of decorating goodies!! I have to say it’s nice to be around a group of people that doesn’t consider my OCD on sprinkles to be a bad thing! 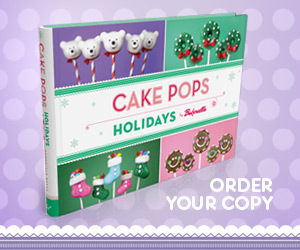 I have always adored sprinkles and get super excited when I see a new collection! LOVE THEM! After the holiday is the best time to clean up on supplies! I wished I had seem this list before last week, I ran all over looking for sprinkles. I’m going to be on the lookout for them now where ever I go. It was such a pleasure meeting you and making cake pops for you last week. I can’t wait to make more with the book, a.s.a.p. Thank you again. Love the Sprinkles I have to keep on the look out for sprinkles!! I know i don’t live in America, But i do live in Canada and i’m not sure if you guys have Home Sense? Well that is a great place because they usually have 1 full selection of sprinkles! Great place! Great photos Bakerella! 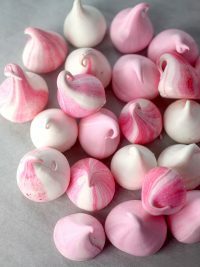 On the other hand, you could just make strings of royal icing and let them dry then dice them up. OMG! 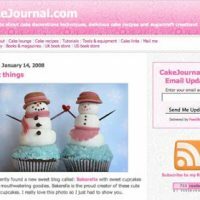 Look what I just found on cakecentral.com! 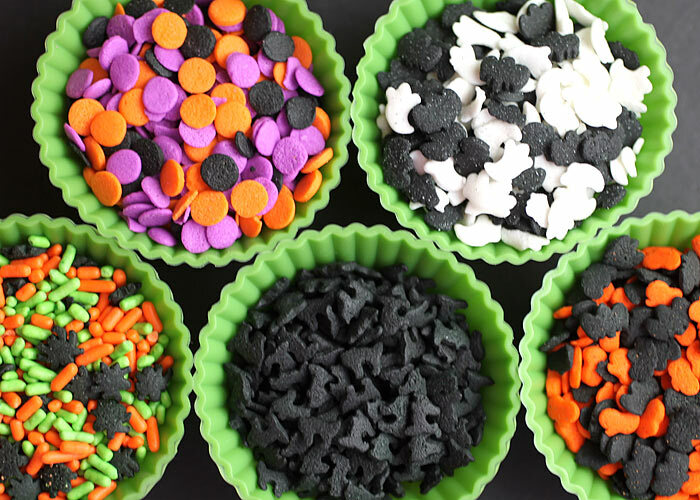 “I’ve made shaped sprinkles from fondant before, using scrapbook punches. Just roll the fondant out as thin as you can, cut it into strips, let it dry a while, and then punch it out like paper. Let them dry on waxed paper overnight at least before you use them. They taste pretty good. My daughter and I made Mr. Potato Head Cake pops this weekend. The noses were the orange coated sunflower seeds and the mustaches were the black bat sprinkles. They worked really well! Thanks so much for the great ideas and inspiration! How long does a cake ball last? From the moment it is confectioned, haow many days will it keep fine? Can I keep them outside the refrigerator? very cute and nice I love all of them. I now want to see your sprinkle stockpile! I bet you have gobs of organization just to keep them all straight! I didn’t think of this at all. Thank you for the great idea! So glad I subscribed to your site! Thank you for posting this little tidbit – i think i am so up on things – but you are SO right. 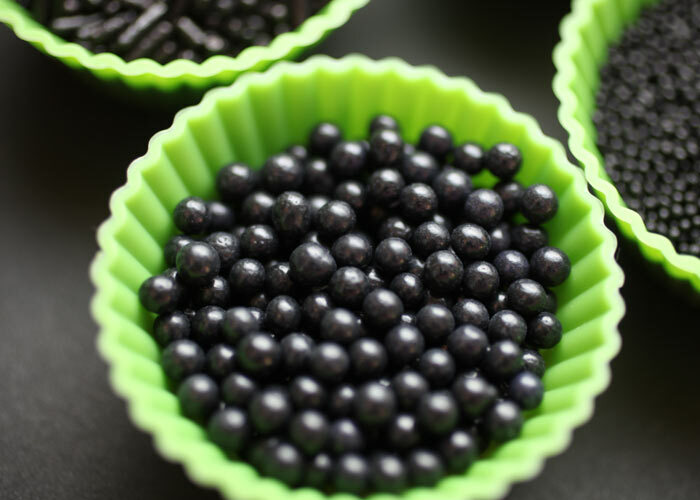 I can NEVER find black sugar pearls – i don’t know why – but they are NEVER in stock – Black Sugar pearls are perfect for wedding cakes, anniversary cakes and the like..P.S. JUST got your book (kids couldn’t wait to keep it for Christmas) and they have both requested Halloween Cake Pops for their classes.  Keep on inspiring – and staying healthy! How long can I leave a candy mold in the freezer? I am making a chocolate skull for halloween and want to know how far in advance i can make it? Thanks for all the wonderful tips! I’m SO excited to meet you in Phoenix! Thanks for confirming that one can never have too many sprinkles! I am so impressed! :) Meh, it’s making me more excited about baking! Georgeous ideas once again! 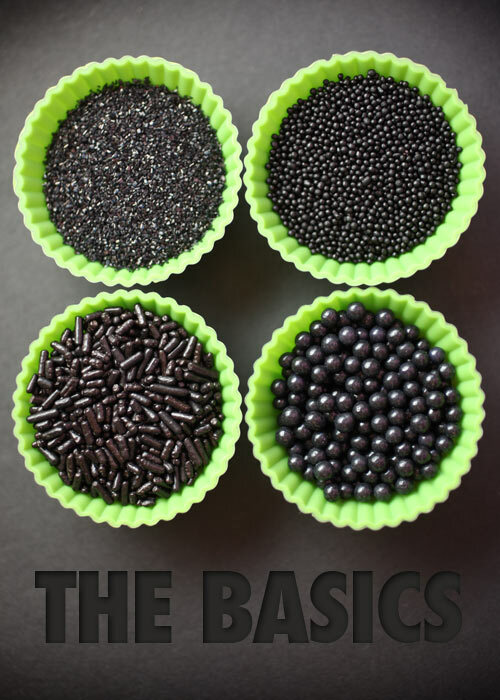 Do you store your sprinkles in their original packaging or in your own? And are there any that go a bit funny over time or is shelf life usually good? Katie – the recipe states 5 tablespoons. And you can add the nibs in addition to the chopped chocolate and cocoa or you can omit them. I did not add any because I didn’t have them on hand. Hope you try them. They’re yummy. 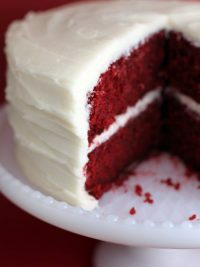 Great article Bakerella! 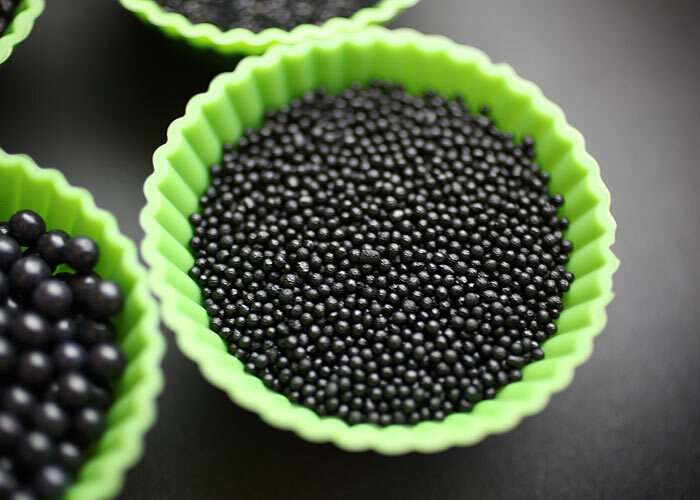 Do you know of any vegan sprinkles? 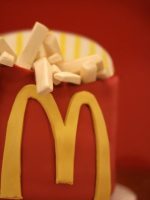 I’d love to cross-post this article but my readers are mainly vegan. Any suggestions? You are so on point with this!!! So many times I passed over the “special” sprinkles and such, only to NEED them long after they vacated the shelf!!! Your so smart :) Thanks for all the ideas as well…you always keep my mind busy looking at things in a whole new light! I also had been looking for Halloween M&Ms and couldn’t find them anywhere, until yesterday…… in Target, back in the Halloween section, they had M&Ms in autumn colors (12.60 oz. bags). It was the only place I’ve seen them. They came in at least the milk chocolate, peanut and peanut butter varieties. Maybe the new pretzel variety too (I can’t remember for sure). I thought it was a New England term only. 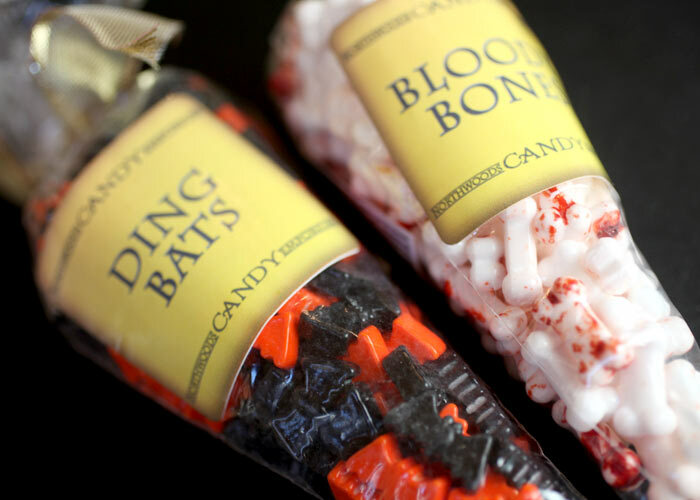 AH, I have that package of vials with the little bones sprinkles! They ARE cute, aren’t they? I found them at A.C. Moore. I also picked up a little silicone ice cube tray where the cubes are shaped like little happy skulls. I actually used it to make sugar skulls for a craft fair! One person I know suggested using them in your coffee, which is actually a pretty good idea. If you like your coffee sweet, that is. And thanks for the advice. Also a good idea to stock on seasonal cookie cutters! I love it! Sprinkles are my downfall. I was just in the states and you have so many more options than we do here in canada. Super cool! I just love it! We don’t have this things here in Brazil… awful! I find a lot of unusual sprinkles and candies at TJ Maxx, Ross, and Marshall’s. Sometimes out of season, but usually a good price. the confetti ones are my FAV!